Cityplace Station Square and Urban Park consists of a trolley turnaround station, public park, and art installations. 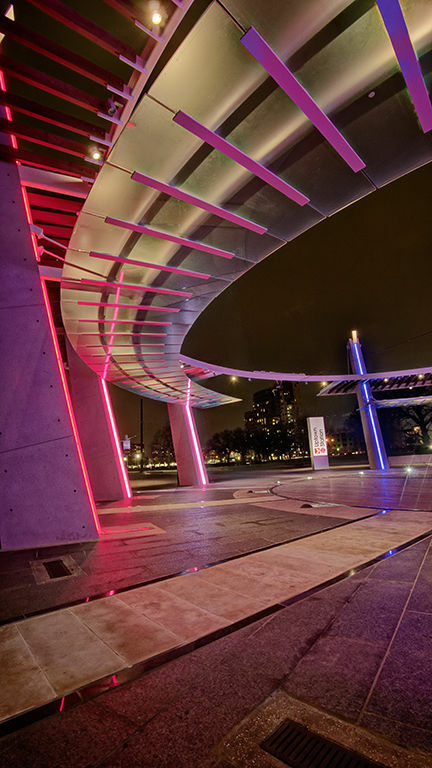 This site is located in a lively walk-able neighborhood of downtown Dallas. 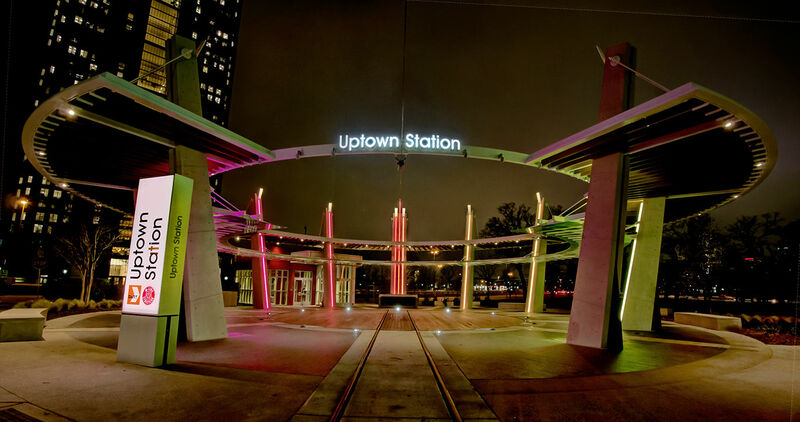 The trolley is a source of transportation and local experience in the neighborhood for residents and visitors alike. 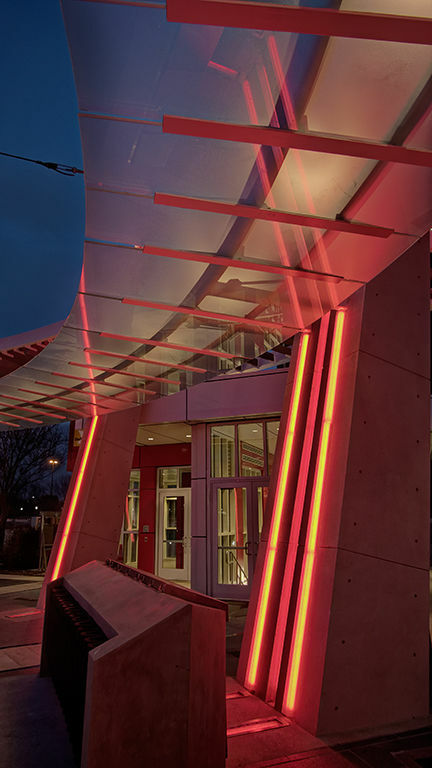 The entrance to a DART station is located adjacent to the trolley station. 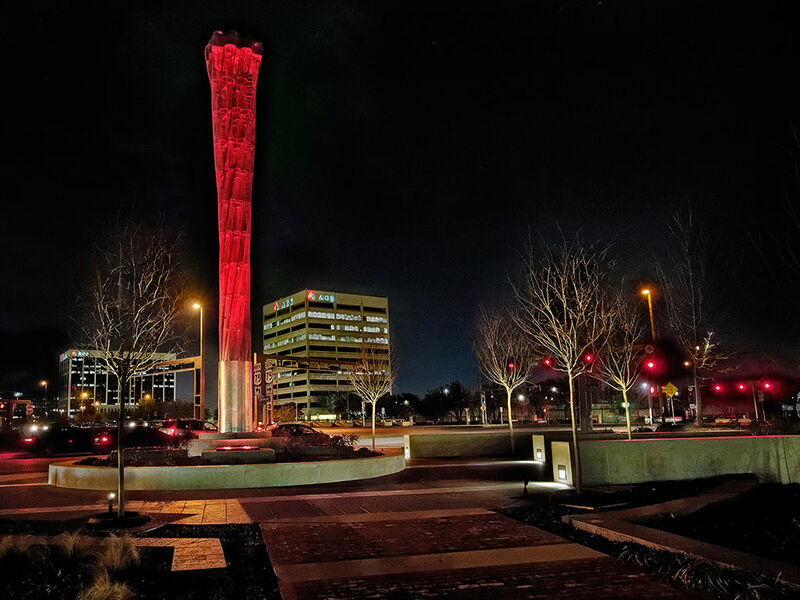 A forty foot tall sculpture by Cliff Garten stands in the center of the plaza across the park from the trolley station. 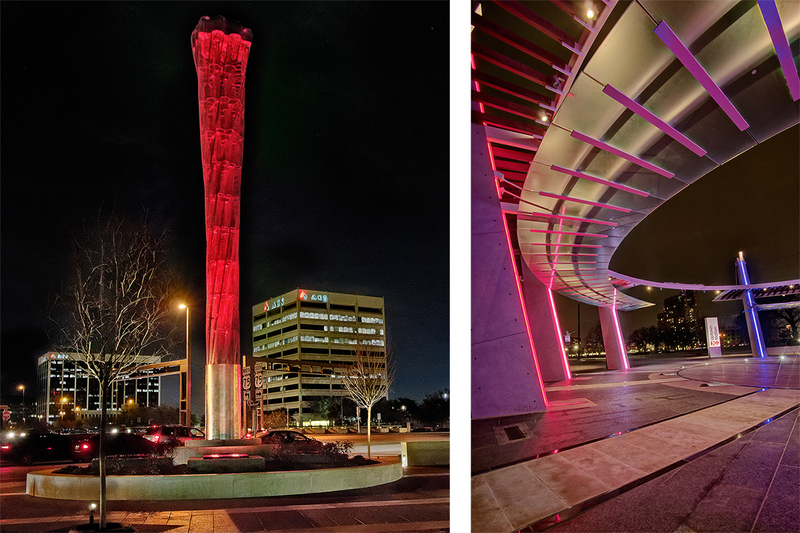 The trolley station and Garten sculpture have become landmarks of the neighborhood for pedestrians and motorist on the adjacent highway. 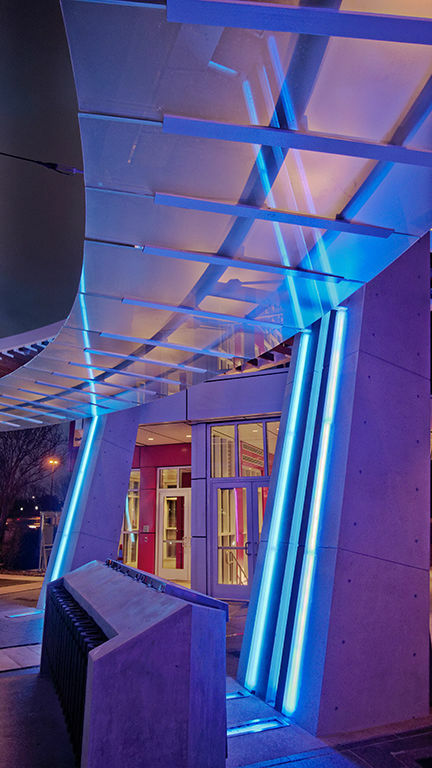 Vibrant color changing lighting reflects the lively energy this neighborhood is known for. 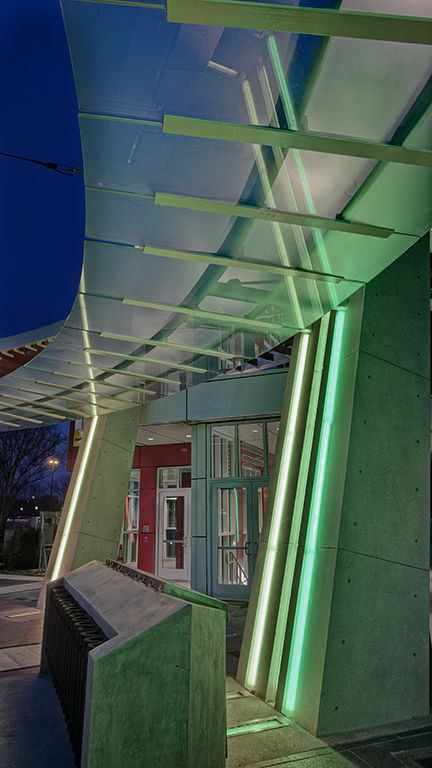 The color changing lighting is integrated into the architecture of the trolley station, and the polished wire framework of the Garten sculpture creates a layered twisting canvas ideal for washing with light. 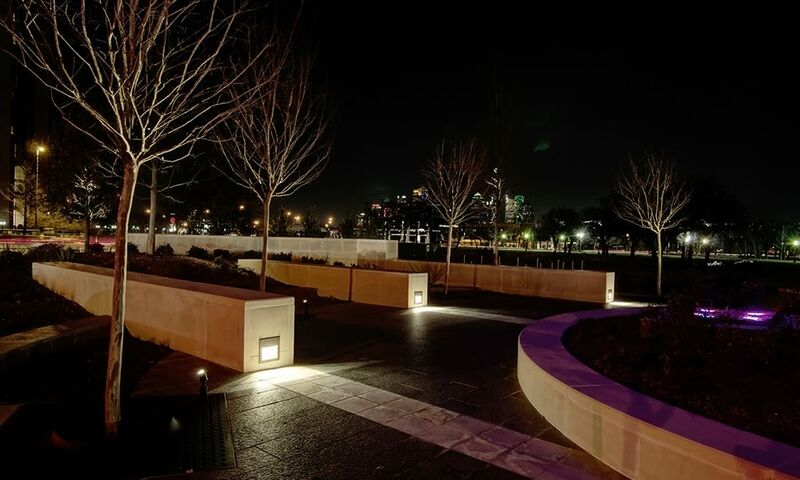 To remain budget conscious, color changing lighting is reserved for these two main elements while white lighting is used throughout the plaza and park on trees, water feature and low level pathway lighting. 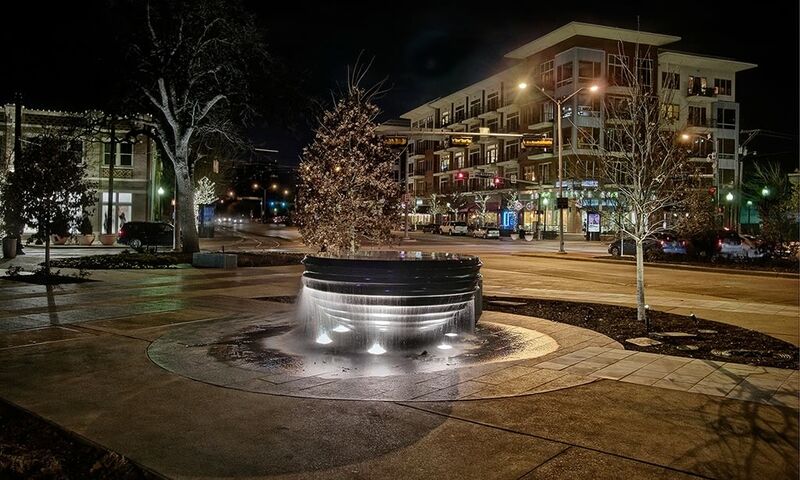 Step lights integrated into landscape benches and stake mounted tree accents create a comfortable, safe and inviting outdoor environment around the park and plaza. 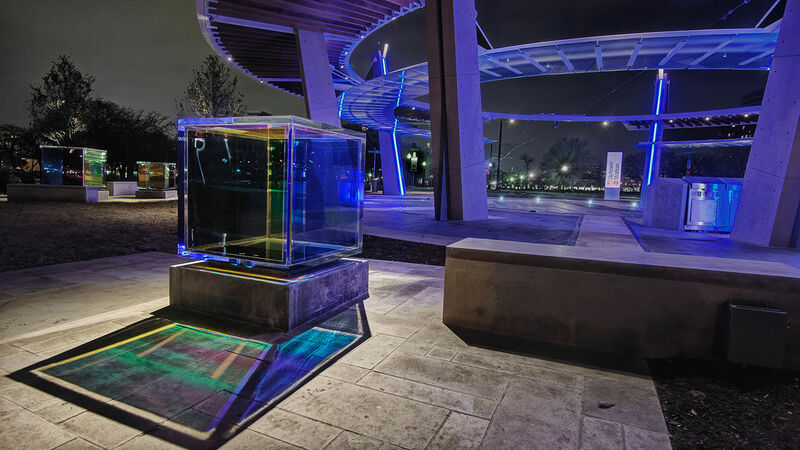 Dichroic glass cubes are lit off-axis with a single source to create strong geometric shadows and intensify the play of color on the ground. 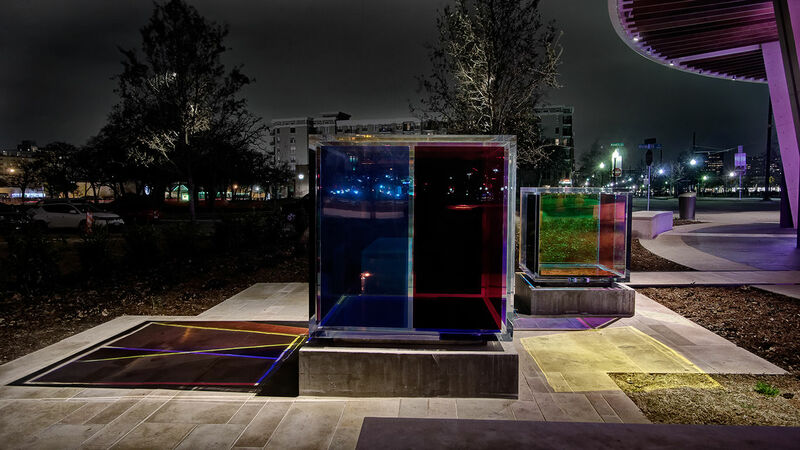 The light fixtures illuminating the dichroic cubes are hidden up in the station frame work. The long shadows casting away from the station create the feeling that the illumination is coming from the glowing aura of the structure itself. A floating glass ring hangs in the center of the outward tilting columns. 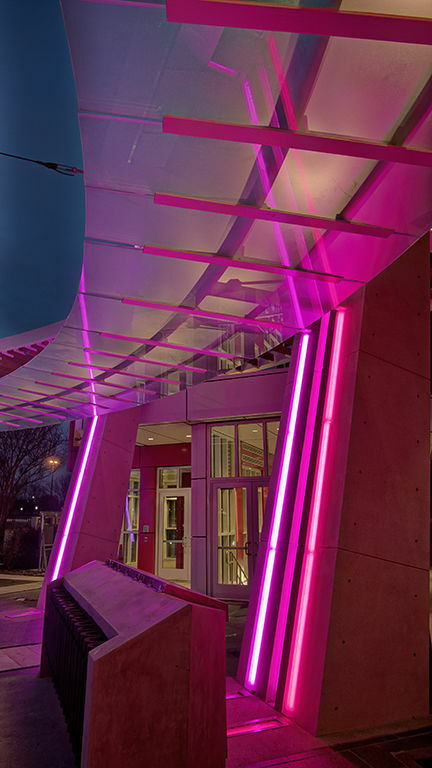 The frosted glass ring is washed with white light while the columns around contain the color. The trolley drives into the circle and a round center platform rotates the trolley 180 degrees so it can drive straight out onto the track again. 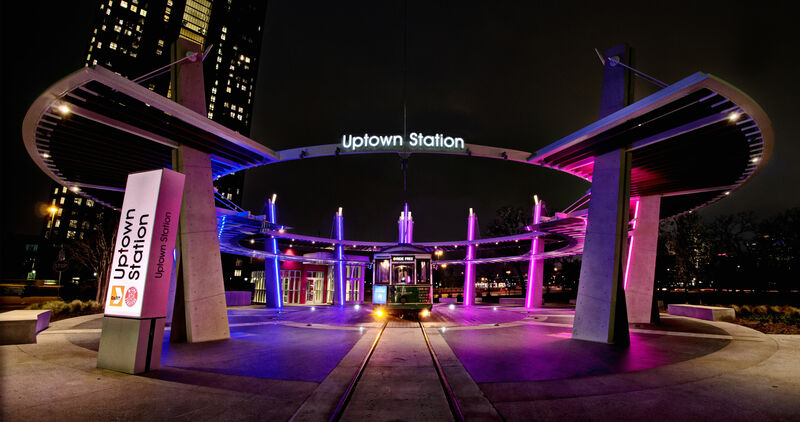 During the rotation, when the front and back of the trolley align with each column, the light explodes up that column from the base to the top fin. The architectural structure and movement of light encompass and celebrate the circular movement of the trolley. 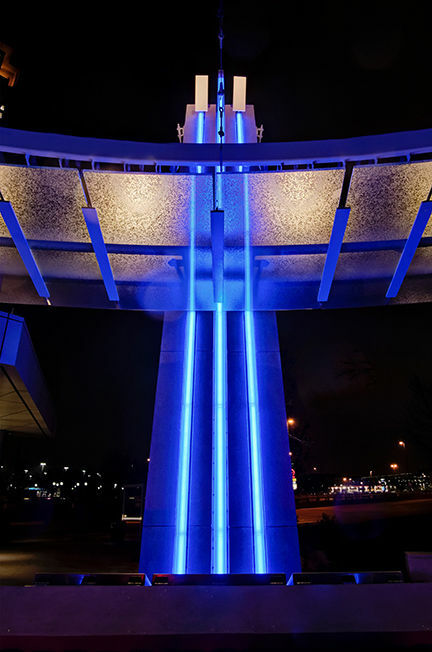 Programmable RGBW LED strip fixtures are scheduled to perform various lighting shows that relate to the time of night, special day of the year or season.